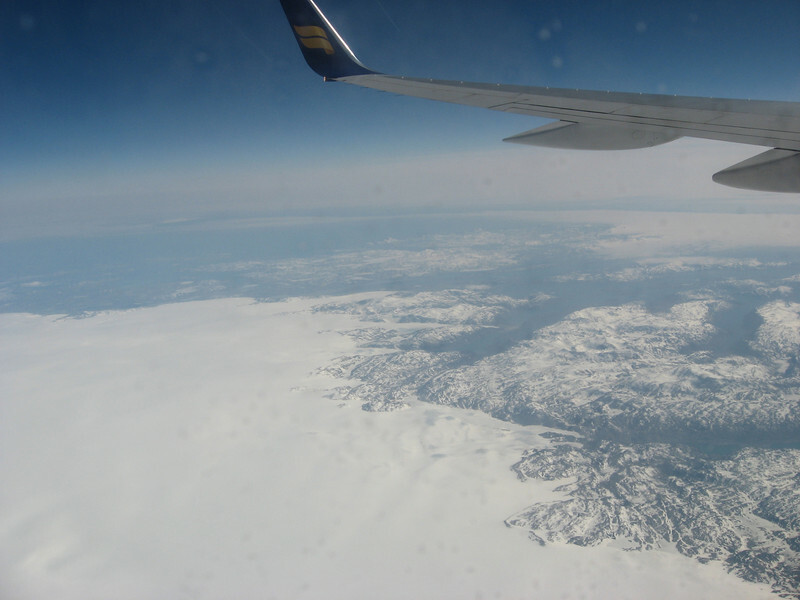 Aerial view of Greenland icecap and glaciers on our flight home. We were very lucky and the clouds parted just in time to fly over Greenland. Amazing view, with glacial rivers and mountain peaks poking through the icecap. Our next trip perhaps? Maybe in 2010!